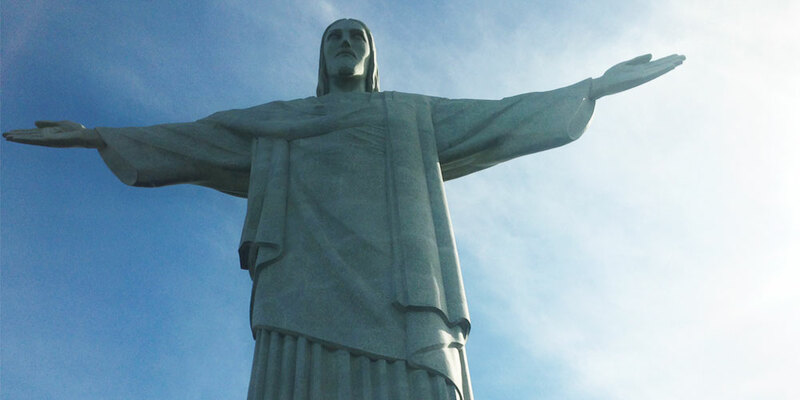 The statue of Christ the Redeemer is one of the original concrete megabuilds, and is thought of as one of the new seven wonders of the world, built entirely of reinforced concrete and soapstone. It took 9 years to build, starting in the 1920s, and now weighs an impressive 635 tonnes and stands at 30.1m tall. For a long time it was the tallest concrete statue of Jesus in the world, but the Christ the King statue in Poland has overtaken it, standing 3m taller than Christ the Redeemer – and is also made of concrete and fibreglass! 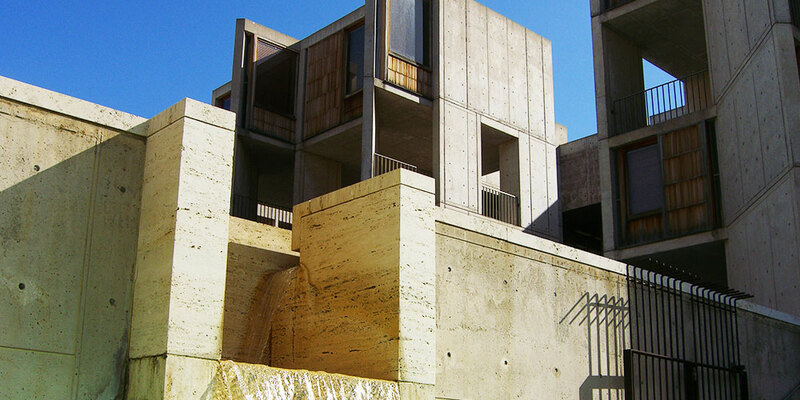 Built in the 1960s, this California based institute for biological studies is considered to be a concrete wonder. The structure is made of up of two symmetrical sets of buildings either side of a central water feature – a small stream of water flowing directly down the middle. Creating a plaza feel, it was said that no plants or dirt should be plotted, leaving a clean crisp look which is warmed in the Californian sunshine. When The Hoover Dam was completed 1936 it was the world’s largest concrete structure and the world’s largest dam – as well as being the biggest hydroelectric power-generating station on Earth. 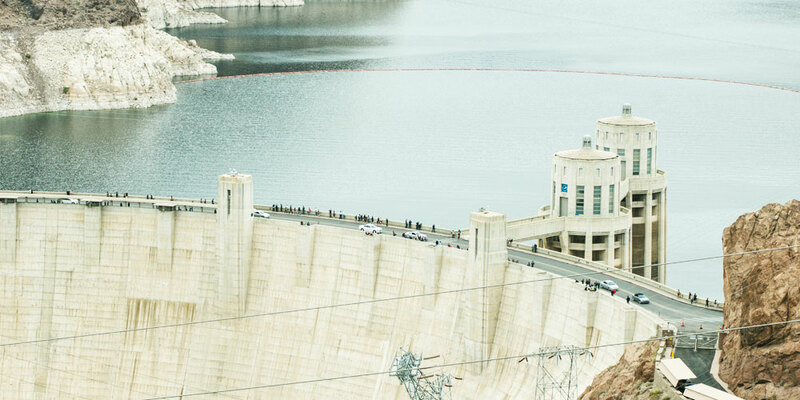 During its construction, more than 3.3 million cubic yards of concrete was poured into the Hoover Dam, with an extra million cubic yards for the power plant! This is as much concrete as would be used to build a dual carriageway from Seattle to Florida. 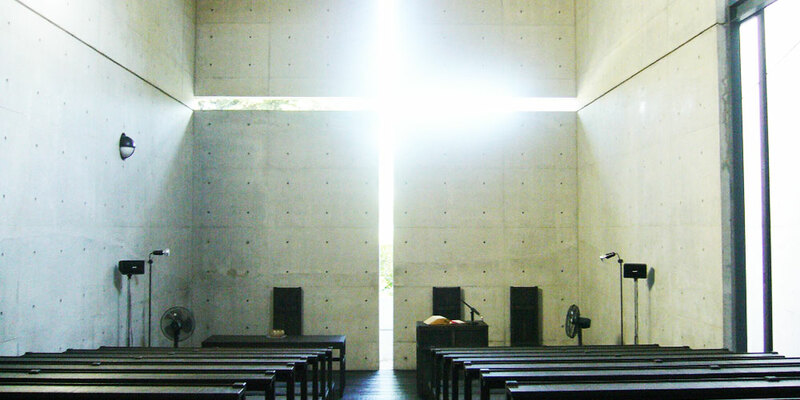 Spiritually simplistic, the Church of Light in Japan shows that you don’t need to go overboard to really make something beautiful from concrete. Built in 1989 as an additional structure, the church is famed for its cross cut into the wall which allows light to flood in, illuminating the cut-out section of the wall. 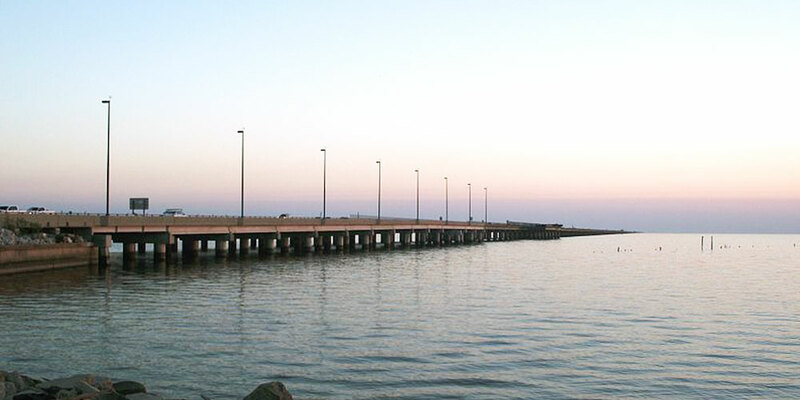 The Causeway Bridge was built to span Lake Pontchartrain in Louisiana. Built in 1956, it connects the old south shore area with what was the developing north shore area at the time, facilitating rapid growth of both communities. The causeway is actually 2 parallel bridges that, at the longest point, stretch almost 24 miles long – making it the longest overwater bridge in the world. Not only that, but it’s also one of the scariest bridges in the world, not because of its relatively low height, but because once travellers reach about 8 miles across, there is no land visible at all in either direction! Beneath the bridges over 9,000 concrete pilings support the immense structure. It sits only 16 feet above the water surface, so part of the bridge raises up to allow water traffic to pass by it. 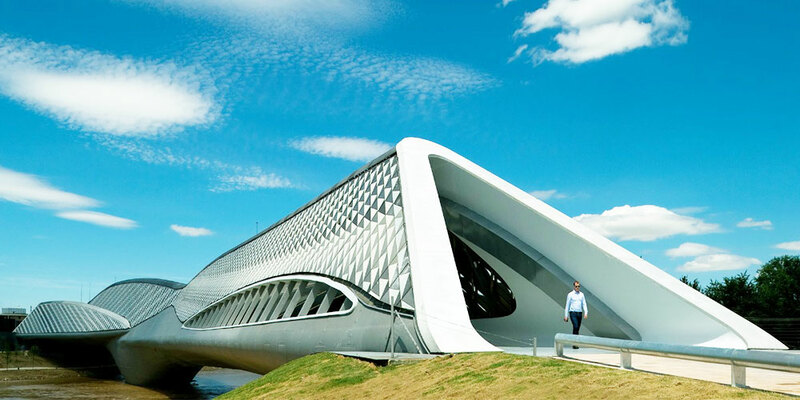 This structure is now a major landmark in Zaragoza, having been designed and constructed for the 2008 Expo. Its structure is entirely unique, making it one of the most beautiful concrete megabuilds of modern times. It is said to have been inspired by the gladiola flower and consists of curving pods, covered in grey triangles of differing shades. 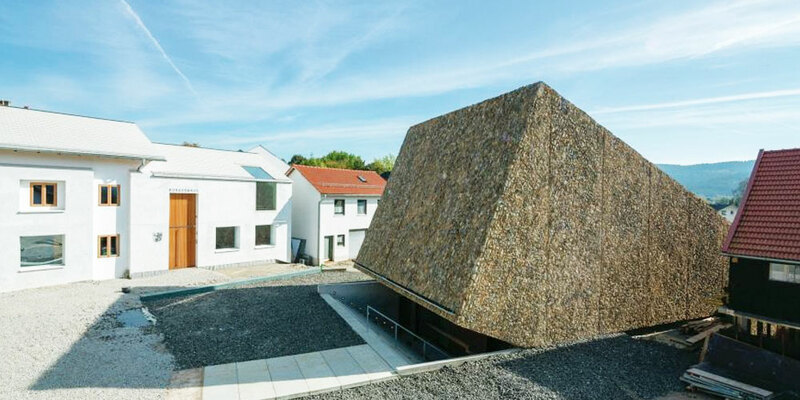 The Konzerthaus Blaibach concert hall in Germany, designed by architect, Petel Haimerl, looks at first glance, like a simple concrete cube, half-buried in the ground. But inside is a majestic concrete staircase leading to an underground reception area, before opening up into the unexpected appearance of a solid concrete of concert hall. 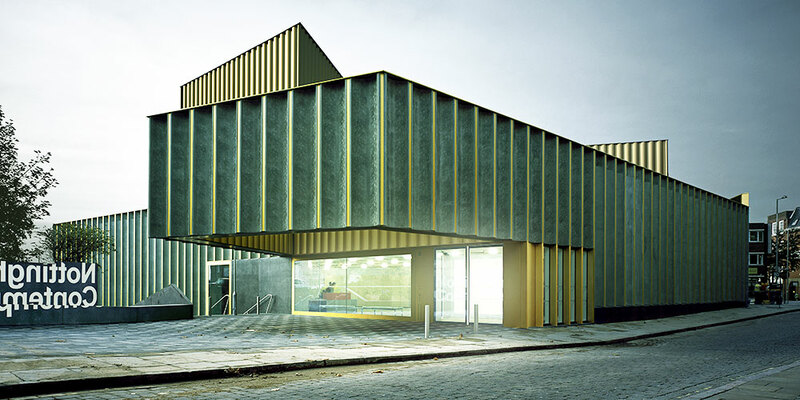 The concrete construction offers an exceptional and unique acoustic effect, as the hard, smooth surfaces stop the sound from being dampened, and the pleated walls and ceilings give depth to the sound. Our second entry for the state of California, this mammoth home was inspired by Mayan temples and was originally built for Charles and Mabel Ennis in the 1920s. The building has seen some restoration over the years and has been in several different films because of it’s exotic nature. One of the most recent constructions, The Nottingham Contemporary is an art gallery which, from a distance, looks a bit like a warehouse. Upon closer inspection you will see that the concrete walls have been embossed with a lace-like pattern, this in homage to the defining industry of the area in which the building is situated. 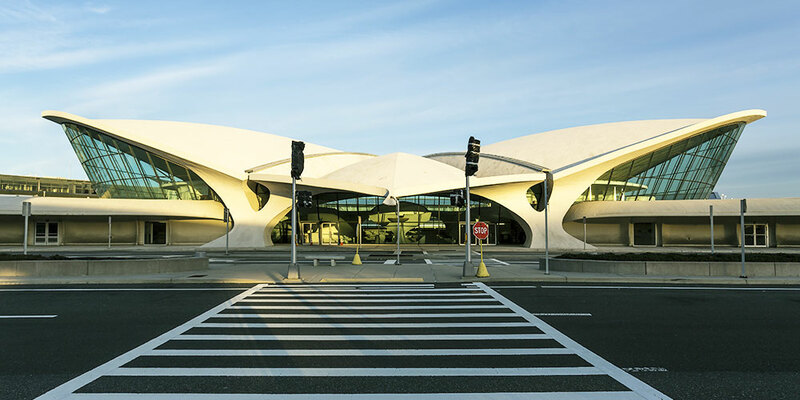 The TWA Flight Center was designed as a part of the JFK airport, a terminal which has now undergone significant reconstruction. It was originally built in 1962 with curved concrete architecture so smooth that it still looks futuristic even now. 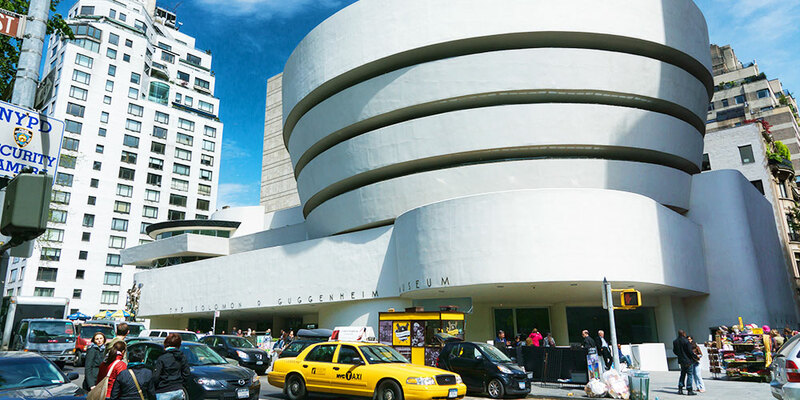 The final entry on this list has to be one of the most famous concrete buildings, the sleek spirals giving a contemporary feel to both the inside and outside of the structure. The cylindrical design was introduced in 1959 and has millions of visitors each year. 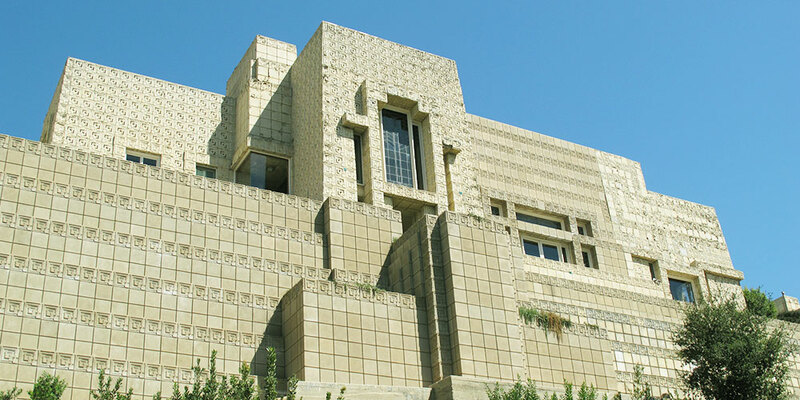 This building has also featured in many popular movies due to it’s unique and striking design. Here at EasyMix Concrete we provide on site mixed concrete so that you can complete your concrete structure. Whether you’re doing something simple or grandiose, our team can help get you the right amount of concrete for your requirements.